B.S. in Instrumental Music Education from Wayne State University in Detroit, MI. Post Graduate Degree from University of Michigan. Studied with Flutist and Piccoloist, Clement Barone of the Detroit Symphony Orchestra. 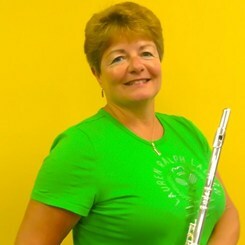 Member of MENC and a Band Director for over 25 Years. Request Lessons with Teresa Marie today!